As DC readers may recall, I was responding to Travis James Campbell’s “Avalos Contra Craig: A Historical, Theological, and Philosophical Assessment,” in a book titled Defending the Resurrection. I henceforth abbreviate Campbell’s chapter as ACC. Campbell challenged my comparison of the Jesus resurrection stories to the reported apparitions of the Virgin Mary at Medjugorje, a town in what is now Bosnia-Herzegovina. Since 1981, millions of people have reported having all sorts of visionary and other types of miraculous experiences there. In particular, I contended that the experiences at Medjugorje satisfied McCullagh’s criteria for historicity used by Craig in the case of the resurrection of Jesus. Medjugorje amply illustrates how people can use the most objective and physical language to describe encounters with persons others would regard as non-existent. I am an anthropologist by training, as well as a biblical scholar. So, I am always looking for good living examples from around the world of phenomena that apologists for the resurrection deem to be not credible or comparable. A. The alleged witnesses are still alive. B. The Marian visions reported there have been better documented than any in history. Reports were audio-recorded and written down almost immediately after the first events. Audio-visual documentation overall is abundant. C. A Scientific team examined the visionaries during some of the alleged apparition events. No such systematic and thorough scientific study ever been performed for prior famous Marian apparitions (e.g., at Lourdes, Fatima). D. Millions of believers were produced within a decade. I published a study of these apparitions in my article “Mary at Medjugorje: A Critical Inquiry,” Free Inquiry (1992). An abbreviated version appears on-line at: Avalos on Medjugorje. I believe that they have a natural explanation. However, here I will show how I could easily defend their claimed supernatural character if I used some of the theological assumptions and biblical concepts that Campbell, Craig and other Protestant apologists use to defend the resurrection of Jesus. The first reported apparitions of the Virgin Mary at Medjugorje began on June 24, 1981, when six Croatian-speaking children/teens claimed that the Virgin Mary had appeared to them on hill named Podbrdo near the town of Medugorje. The latter was located then in communist Yugoslavia, but is now within Bosnia-Herzegovina. I retain the numbering found in Is the Virgin Mary Appearing at Medjugorje? ( p. 42) written by renowned Marian scholar, René Laurentin, and his co-author, Ljudevit Rupcic. These numbers will later be used to identify them in interviews that I will quote. The birthdays of the visionaries are in parentheses as reported on this website: visionaries' bios. Interviews with the visionaries about of the earliest appearances were tape recorded by Catholic clerics between June 27 and 30, 1981. Transcripts subsequently were published by Ivo Sivric (1917-2002), a Medjugorje-born opponent of the apparitions, and by Daria Klanac, a Canadian of Croatian ancestry that supports the authenticity of the visions (Foley, Understanding Medjugorje, pp. 38-39). Most of the standard accounts are based only on later interviews, and so it is important that any critic or supporter of Medjugorje be familiar with this earliest material. While many critics of these Marian apparitions mistakenly believe that the visionaries do not claim to see something objectively present, these children emphatically affirmed that they saw Mary as a fully physical and real person. The young people were met with initial skepticism and harassment from some authorities, both from the Church and from the Communist atheistic government. Surprisingly, one of the most vocal skeptics was Pavao Zaniç (1918-2000), their own local bishop, who, according to one transcript of an interview, declared: “In my opinion Medjugorje is the greatest deceit and swindle in the history of the Church” (Michael O’Carroll, Medjugorje: Facts, Documents, Theology [Dublin: Veritas, 1986], p. 238). However, such a statement would be the equivalent of the skepticism expressed by Jewish authorities in the case of Jesus, and should not be used as an objection to the Marian vision experiences anymore than those of the traditional Jewish authorities in the case of Jesus. Despite the political conflicts caused by the apparitions within the local diocese, and despite the fact that the Catholic Church has not officially affirmed the authenticity of the visions, these supposed “witnesses” have never recanted to the best of my knowledge. In addition, five of the visionaries were subjected to an extensive battery of medical and psychiatric tests in 1984 by a team led by Dr. Henri Joyeux, an oncologist of the Faculty of Medicine at the University at Montpellier. The team also included a cardiologist (Dr. Bernard Hoarau),and a neurophysiologist (Dr. Jean Cadhilhac).The team published its findings in René Laurentin and Henri Joyeux, Scientific and Medical Studies on the Apparitions at Medjugorje (Dublin: Veritas, 1985). The team concluded: “The apparitions are not sleep or dream or hallucination in the medical or pathological sense of the word. This is scientifically excluded by the electro-encephalogram and by clinical observation” (Scientific and Medical Studies, p. 44). The report added: “The ecstasies are not pathological nor is there any element of deceit. No scientific discipline seems able to describe these phenomena” (Scientific and Medical Studies, p. 75). The medical team found no history of drug use or illness that could explain the experiences of these visionaries. Further tests, conducted in 1998 and 2005, seemed to reconfirm previous conclusions. See: Testing Chronology. So, already these “witnesses” have been subjected to more scientific and psychological probing than any “witness” we can identify for the resurrection stories of the New Testament. We have more documentation for their personal histories and character than for anyone in the New Testament. Moreover, the number of pilgrims who went to Medjugorje by 1988 was already placed by some at over fifteen million, which far surpasses the rate of growth of the Jesus apparition stories. When it comes to the particular historicity of the Marian apparitions at Medjugorje, Campbell affirms: “We have little if any reason to accept the veridicality of the Marian apparitions at Medjugorje” (ACC, p. 297). The fact is that we have even MORE and BETTER DOCUMENTED evidence than what Campbell concedes. Campbell’s refutation of the veridicality of the Marian apparitions largely rests on quoting a book titled, The Cult of the Virgin: Catholic Mariology and the Apparitions of Mary, which was first published in 1992 by Elliot Miller and Kenneth R. Samples. Miller and Samples are Protestant evangelical apologists, and their book has a foreword by the well-known evangelical apologist, Norman L. Geisler. So, Campbell’s procedure is akin to quoting opposing Jewish sources to give us unbiased information about stories of Jesus’ miracles and resurrection. Charges of demonic deception can go both ways, and there are no historical or scientific means to adjudicate who is really being deceived by any demonic agents, if they exist at all. Campbell lists no Catholic apologists for the Medjugorje apparitions in his bibliography. Campbell does not demonstrate any direct familiarity with the apologies for Marian apparitions at Medjugorje by René Laurentin, Henri Joyeux, Michael O’Carroll, and many others. The main Catholic source (Ludwig Ott, Fundamentals of Catholic Dogma) from which he draws his information about Marian theology was written in 1960, and so decades before the Medjugorje apparitions. Nor does Campbell seem familiar with Catholic critics of the visions (e.g., Donal Anthony Foley, Ivo Sivric). In any case, Campbell lists what he believes are crucial differences between the Marian apparition stories and the Jesus resurrection stories. I will show that all of such supposed differences are predicated on theological assumptions or on criteria that are not applied consistently. Campbell, therefore, is engaging in theological argumentation, and not in historical reasoning. According to Campbell, one crucial difference is as follows: “There are at least four (generally agreed upon) facts from which the inference to the resurrection of Jesus is based; while there are no facts concerning the fate of Mary that scholars in this field of study can agree to” (ACC, p. 296). Already by 1907, the The Catholic Encyclopedia expressed a consensus on the Assumption of Mary: “Today, the belief in the corporeal assumption of Mary is universal in the East and in the West; according to Benedict XIV (De Festis B.V.M., I, viii, 18) it is a probable opinion, which to deny were impious and blasphemous.” See: Catholic Encyclopedia. 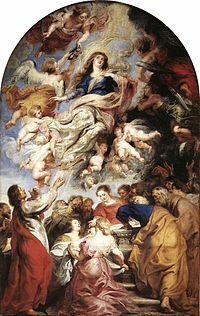 Consensus about the Assumption of Mary has only solidified among Catholic Mariologists since 1950, and especially after the further pronouncements by Pope Paul VI in Marialis Cultus (1974), and by Pope John Paul II in his encyclical Redemptoris Mater (1987). So, should we accept the Assumption of Mary as her historical fate because of such a wide consensus among Catholic scholars? In any case, it is not a FACT that there is an empty tomb, regardless of how many Christian scholars may agree. A FACT is something that we can verify with our five senses and/or logic, and no one today can verify that Jesus’ tomb was empty around the year 30 CE. Among other problems, we don’t know the exact location of such a tomb to verify that it is empty. There are at least two places revered as being the tomb of Jesus in Jerusalem. Even if today we found a tomb thought to be that of Jesus, it would not tell us necessarily when it was emptied. For all we know the body could have been removed in 500 CE or 1500 CE, etc. The other criteria to tell the difference are not compelling, as we shall learn. He appeals to well-known Catholic theologian Ludwig Ott (1906-1985), and author of Fundamentals of Catholic Dogma (1960), as follows: “And the sources Ott cites to his effect ‘are’ in his own words ‘apocryphal...’ In contrast, as we have seen, belief in Jesus’ resurrection was crystallized in creedal form by the eyewitnesses to these event inside five or six years of Jesus’ death” (ACC p. 296). First, Campbell misrepresents Ott’s view. What Ott said is: “Even though these are apocryphal they bear witness to the faith of the generation in which they were written despite their legendary clothing” (Fundamentals of Catholic Dogma, p. 210). Ott’s view of the historical value of the apocrypha is important because he also notes that “Christ’s virginal birth is accepted without question in the apocryphal writings of the second century...” (Fundamentals of Catholic Dogma, p. 206). Of course, Campbell is confusing a theologically orthodox designation for texts not in the canon with historical evidence. Just because an orthodox group declares certain sources to be theologically authoritative does not mean that an historian cannot use heterodox or non-canonical sources to establish the historicity of events or beliefs. Campbell’s rationale would be akin to demanding that we only use approved Islamic sources to reconstruct the history of Islam. And if we regarded as “apocryphal” anything not approved by a group in power, then all the New Testament is “apocryphal” for traditional Judaism, and so we can’t use anything in there as historical evidence. Indeed, “apocryphal” is a meaningless and self-serving classification for determining historicity. There were “apocryphal” stories of important figures taken alive into heaven, as was the case with Elijah and Moses. These apocryphal stories were accepted as historical by New Testament writers. 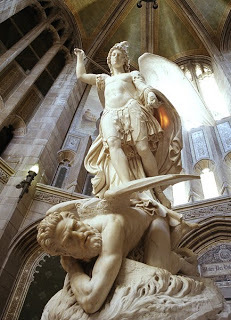 This tradition about Michael contending with Satan is not found in any canonical text. In fact, it may derive from the so-called the “Assumption of Moses” or “Ascension of Moses,” a book called by that title, and linked to Jude 9, by Origen (Principles 3.2.1), among other early Christian sources. So, if apocryphal writings can transmit data that Campbell regards as historical (e.g., Christ’s Virgin birth; Michael contending with Satan), why does he deny that apocryphal materials might transmit accurate historical data about Mary’s Assumption? Theologically and biblically, there should be no objection to having other traditions about Mary’s Assumption that are not found in the canonical texts. Otherwise, what makes those Marian reports “apocryphal” and the Jesus stories not? Campbell inserts a temporal limit in his evaluation of apparitions. If a belief in an apparition arose after a particular amount of time subsequent to the putative death of the person appearing (e.g., 500 years), then he apparently holds the belief to be invalid or less credible. That is not a purely historical judgment. And if one does believe in supernatural causes, then there is no necessary logical or theological requirement that any post-mortem appearances be within a limited amount of time. Any post-earthly life can be assumed theologically to be eternal, and so it cannot be constrained by the temporal limits that Campbell imposes on Mary. The inconsistency is evident in that Campbell does not place any restrictions on Jesus apparition stories. Yet, similar ones can be made. For example, since Jesus ascended to heaven the same day as his resurrection (Luke 24) or 40 days after his resurrection (Acts 1), then can we say that any reports of seeing Jesus after those 40 days should be historically less credible? If so, that could invalidate Paul’s accounts in Acts 9 and 22. If theologically there is no time limit for Jesus to appear after his death, then why is there one for Mary? If Mary is alive now, she can theoretically appear just as often or just as viably as any angels or saints who presumably have eternal life. So, if Mary is just as alive as is Abraham, Isaac, Jacob, Michael and Gabriel, then there should be no theological objection to the continued existence of Mary. Period. HOW SOON DID A CREED CRYSTALLIZE? Campbell’s claim that belief in the resurrection of Jesus “was crystallized in creedal form by the eyewitnesses inside five or six years of Jesus’ death” is not supported by any contemporary historical evidence at all. The stories of the existence of such a creed are found in New Testament manuscripts from the third century and later, but there is no actual evidence from 5 to 6 years after the year 30, the approximate date of the supposed resurrection. If I am wrong, then where is a document from around 35-36 CE that showed the existence of such a creed? As we will see, Campbell is using an asymmetrical requirement. In the case of Jesus he is satisfied if there is a creed about Jesus’ resurrection 5-6 years after the supposed event. In the case of Mary, he dismisses any creed that actually DID FORM within 5-6 years after the first apparitions. Jesus: Creed attested in manuscripts from 200-300 years later. 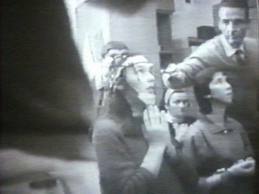 Mary: Creed documented in video and print within 5-6 actual years. And the proper symmetry is the appearance of a creed AMONG BELIEVERS of the event in question, even when there were many non-believers and even if the Catholic Church does not officially express belief in the authenticity of the apparitions. So, just as Campbell dates the establishment of a creed among BELIEVERS OF THE JESUS APPARITIONS it would be symmetrical to date the establishment of a creed among BELIEVERS IN THE MARIAN APPARITIONS AT MEDJUGORJE. The “creed” that Mary appeared at Medjugorje crystallized among millions of believers within 5-6 years, and so that far outpaces anything that even Campbell supposes for the Jesus event. The crystallization of the Medjugorje creed is securely dated, especially as it happened within the lifetime of many current researchers. Indeed, if Campbell finds it historically significant that the Jesus resurrection creed crystallized within 5-6 years of the claimed event, then why does he not find it significant that the belief that Mary appeared at Medjugorje crystallized almost immediately? IS THE DOGMA OF THE ASSUMPTION NECESSARY? According to Campbell: “Indeed, the belief in Marian apparitions is based upon the doctrine (declared to be an infallible dogma of the Catholic faith on November 1, 1950) that Mary was assumed, body, and soul into heaven. Any piece of evidence supporting the apparitions of Mary can only be as strong as the evidence supporting the historical Mary’s assumption into heaven” (ACC, p. 296). Campbell is either unclear or clearly historically mistaken about any necessary connection between belief in the Marian apparitions at Medjugorje and belief in the Assumption of Mary. Indeed, Campbell leaves unexplained why reports of Marian apparitions must depend on the dogma of the Assumption of Mary. People at Medjugorje either saw Mary or did not see Mary, and the historical evidence has to do with empirical corroborating evidence and the quality of the witnesses, and not with any theological dogma that Campbell transforms into a requirement for historicity. In fact, Campbell has switched to a completely different criterion than the one he uses for Jesus. In the case of Jesus, he measures historicity by the temporal distance between the alleged resurrection event and the first appearance of a creed affirming that event. In the case of Mary, he measures the historicity of an apparition report by the temporal distance between some arbitrarily-chosen historical dogma and the reported apparition. Mary: The time between a creed affirming Mary’s Assumption and the alleged apparition event. Mary: The time between the alleged apparition event and a creed affirming that apparition. If we used the proper symmetry, then Mary’s apparitions at Medjugorje not only meet, but exceed, the measure of historicity that Campbell uses for the Jesus stories. As mentioned, millions of believers affirmed the creed that Mary had appeared at Medjugorje within 5-6 years of the event. Fair enough, but is this really a reason to dismiss the existence of Marian apparitions prior to Gregory of Tours? After all, Ott is speaking of an orthodox writer, and any study of the writings of that period reveals that there were Christian devotees of Mary, who were not regarded as orthodox, but who might have believed in the continued existence of Mary in some form. Indeed, Christians accept the dogma of the Trinity which was not firmly established as dogma until the Council of Nicea in 325, but that does not prevent Trinitarians from positing its existence hundreds of years earlier in the New Testament. For many Marian apologists, the references to Mary are clear insofar as this woman brought forth a child who is to rule all nations, and other parts of Revelation tell us that this is Jesus Christ. She also fled into the wilderness, something parallel to the tradition found in Matthew 2:13-15, where Mary and Joseph fled through the desert to Egypt to escape Herod’s attempt to kill Jesus. If John is having visions of Mary being in heaven near the turn of the first century, then early Christians could assume that she was taken alive there or that she is existing in some form after her earthly life. If Protestant apologists object that this passage in Revelation is purely symbolic, then they would have to explain why they see other aspects of John’s vision as representing real states of reality. For example, Campbell presumably believes that Christ is literally in heaven now, and that John’s vision of Christ in heaven is consistent with that literal belief. So, why is seeing Mary in heaven not accorded the same level of literal historicity? “As he laid awake, there appeared to him in a vision an aged person in human form adorned with solemn raiment and whose countenance was striking by great virtue and kindness in addition to the integrity his form. [Gregory] was struck by fear at this sight and rising up from bed, realized who he was and why he came. After quieting his fear, he said in a soft voice that a divine order bade him to appear, the reasons of which were obscure to [Gregory], in order to reveal the truth of correct belief and to encourage him to speak while gazing upon him with both joy and respect. Then the old man suddenly extended his hand and with his finger pointed to something which appeared near him which was a splendid female form instead of a male one. Once again [Gregory] was terrified and turned his face away, unable to bear its sight. The vision was especially amazing since the night was gloomy, for it resembled something like a light illuminated by another light. Since he could not look upon this spectacle, he heard from those who appeared to him speaking in detail about what he was seeking. Not only was he revered with regard to true knowledge of faith but recognized the names of each man who appeared when they called each other by their respective names. It is claimed that this vision of a female form told [Gregory] that the evangelist John was exhorted to manifest the mystery of truth to a young man, saying that she was chosen to be the mother of the Lord [Matri Domini] whom she cherished. He also said that this fitting vision had vanished again from his sight. He was immediately ordered to write down this divine revelation and later proclaim it in the church. In this way it became for others a divinely given legacy through which the people might repulse any evil of heresy” [My underlined emphasis]. In order to dismiss the claims of Medjugorje, Campbell resorts to a well-known argument centering on novelty and prior expectations. According to this rationale, an unexpected and novel event is presumed to have more credibility than an event for which there is a prior tradition or expectation. As Campbell phrases it: “Indeed, these children were raised in a context in which these kinds of things are expected. In contrast, the original disciples had no prior traditions anticipating a resurrection from the dead of one man in the middle of human history; and this fact alone suggests that the appearances of Jesus to his disciples gave rise to their belief that he had risen”(ACC, p. 297). There is no evidence that Mirjana knew much about the doctrine of the Assumption or its theological implications, as she was a teenager at the time of her first reported experience. 5. It never even crossed my mind. I didn’t think that such a think could ever happen. Indeed, there is no logical correlation between belief in the dogma of the Assumption of Mary, and the belief that any one individual should receive such an extraordinary vision. So, even if the visionaries believe in the Assumption of Mary, why would that mean that Mary SHOULD APPEAR TO THEM? After all, a lot of people who believe in the Assumption don’t believe that they have experienced apparition events. Moreover, the first appearance of any miraculous event in ancient literature would, by Campbell’s standard, be regarded as more historical than a lot of things that Jesus did. For example, there were already many traditions where great men were thought to be born of the union of divine father and a human mother. Thus, Alexander the Great was said to have been born of the union between Olympias and Hercules or Zeus. But would Campbell argue that since there was such an expectation that great men would have such an ancestry, then the story of Jesus’ divine origin is also less credible? Second, we don’t know what any disciples had as traditions prior to the written resurrection stories. Just because any prior traditions are not in writing does not mean that they could not have circulated and discussed orally. Even John 20:30 states: “Now Jesus did many other signs in the presence of the disciples, which are not written in this book.” So, how do we know that some of those signs did not result in at least some of them anticipating a resurrection? And if Campbell is willing to dismiss the Marian apparitions because they occurred after the establishment of some related creed, then we could dismiss any apparitions of Jesus that supposedly happened after the years 35-40 CE for similar reasons. If, by Campbell’s own reckoning, a creed that Jesus resurrected was established by 35-40 CE, then can we say that any vision of Jesus after that is only as credible as the resurrection that happened before that? Otherwise, Campbell’s demand is circular. By his own account, Campbell’s main evidence that Jesus resurrected is based on claimed sightings of Jesus after his death. So, if sightings of Jesus establish the creed that he appeared after his death, then why can’t sightings of Mary at Medjugorje establish the creed that she appeared at Medjugorje after her death? Indeed, it is inconsistent to use the reported post-resurrection appearances of Jesus as evidence that Jesus resurrected, but dismiss the reported post-death appearances of Mary as evidence that Mary is alive. If Mary is appearing, then that would prove that she is alive regardless of what dogmas existed in prior years. Period. Campbell cites Ott as saying “direct and scriptural proofs [of Mary’s assumption] are not to be had” (ACC, p. 296). In actuality, Campbell has omitted a word from Ott’s quotation, which reads: “Direct and express scriptural proofs are not to be had” (Fundamentals of Catholic Dogma, p. 208). But, the lack of “direct and express scriptural proofs” does not mean that there are not other indirect proofs that are compelling for Ott. Ott, for example, cites Matthew 27:52-53 as one possible indirect indication that Mary may have been among the saints resurrected, and so available for later apparitions. Note also that Campbell seems to want it both ways. On the one hand, he deems stories of Jesus’ resurrection as more credible because there are no scriptural precedents that would establish an expectation for Jesus’ resurrection. On the other hand, he deems Marian apparition stories less credible because there are no scriptural precedents that would establish an expectation for Mary’s continued existence. For Campbell, reports of Jesus’ appearances counted as evidence that he had resurrected even if they did not depend on some prior scriptural proof. So, why does Campbell demand scriptural proof that Mary is still alive when reports of her appearances could alone count as evidence that she is alive? Those written reports would be the modern equivalent of “scriptural” proof, in any case. Campbell tells us that “it’s not implausible at all to think that belief in Mary’s assumption gave rise to belief in her appearances” (ACC, p. 297). Yet, this is neutralized by the equally plausible supposition that the Doctrine of Mary’s Assumption developed because of these prior Marian apparitions being reported. We have certainly established that historically with Gregory of Nyssa. As mentioned, Jesus had predicted that he would resurrect in John 2:19. So, if enough people believed in his resurrection on that basis, then that should satisfy Campbell’s rationale. Epiphanius (ca. 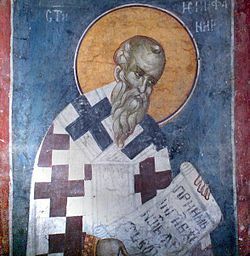 310-403) was a bishop of Salamis in Cyprus that wrote a book called The Panarion (= “the medicine chest”), which was a summary of eighty heresies that he sought to combat. Campbell quotes Epiphanius as follows: “Nobody knows how she [Mary] departed from this world” (ACC, p. 296). This quotation was copied directly from the discussion in Ott where the same isolated sentence appears on page 208 of Fundamentals of Catholic Dogma, and which Campbell cites as his source (ACC, p. 305, n. 28). “The holy virgin may have died and been buried—her falling asleep was with honor, her death in purity, her crown in virginity. Or she may have been put to death—as the scripture says, ‘And a sword shall pierce through her soul’—her fame is among the martyrs and her body, by which light rose in the world, [rests] amid blessings. Or she remained alive, for God is not incapable of doing whatever he wills. No one knows her end” [My underlined emphasis]. Note that Epiphanius is open to the possibility that Mary remained alive, and that may reflect a tradition already existing in his day. Ott (Fundamentals of Catholic Dogma, p. 208) himself noted these possibilities discussed by Epiphanius, and so I am not sure why Campbell omitted them when discussing Epiphanius. So, Epiphanius himself attests to the existence of a form a worship that assumes that Mary is alive and able to appreciate such sacrifices. In any case, it is not historically true that apparitions or belief in the continued life of Mary also required belief in Mary’s Assumption in the dogmatic orthodox form of the fifth-sixth centuries. According to Campbell: “Contrary to Jesus, Mary made no radical personal claims” (ACC, p. 297). This is a most puzzling argument. First, why does Campbell not count Mary claiming to be the virgin mother of Christ as a “radical personal claim”? If being impregnated by the Holy Spirit is not a “radical personal claim,” then what is? According to Luke 1:26-35, the angel Gabriel revealed the cause of her impregnation directly to Mary, and so it would have been Mary who subsequently made such a radical claim about her impregnation to others. Second, why should making “radical personal claims” be the mark of historicity at all? If I said that I was the son of God, would that make anything else I said more “historical”? Again, making radical personal claims is irrelevant to whether an event related to the person making those claims happened or not. MARY NOT SENSED BY OTHERS? When we examine the purported evidence given by Miller and Samples for why the Marian apparitions are not real, they only adduce arguments that can also undermine biblical stories or arguments that do not really pertain to the original apparitions of the visionaries. B. Subsequent apparitions in the local St. James church from about a week later and apparently still occurring (See Foley, Understanding Medjugorje, pp. 55-56). Miller and Samples have, at best, direct empirical information about events in B, but not in A. It is the first appearances that were viewed as the most external and physical, and the subsequent ones were often or increasingly described with a spiritual sense or spiritual vision. However, this variation also would not be unbiblical. Jesus said that his disciples would see him only for 40 more days on earth in Acts 1:3, and then he would be taken up and not be present physically on earth any longer. 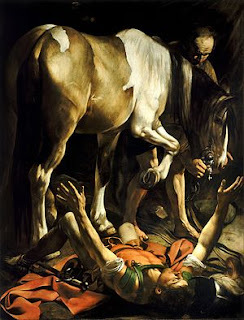 However, according to Acts 9 and 22, Paul did subsequently perceive Jesus communicating with him. In any case, Samples (The Cult of the Virgin, pp. 114-15) says he was present, along with a cleric named Father Slavko Barbaric, when Marija Pavlovic, one of the original visionaries, had one of her experience in the St. James church. Samples reports: “I sat beside Marija when she experienced a vision...I saw nothing, and sensed no other presence in the room except the three of us.” Samples concludes that Marija is not really perceiving Mary. Samples also interviewed Ivan Dragicevic, another of the original visionaries, who told Samples: “We see our Lady in three dimensions, which means that we can see her just as I can see you now” (Miller and Samples, The Cult of the Virgin, p. 155). Dragicevic relates that his experience may be a form of ecstasy that cannot be experienced by everyone who is present alongside them. So, Campbell suggests that does not reflect an objective reality and concludes: “We have no reason to think that Ivan’s or anyone else’s experiences have been any different than Marija’s” (ACC, p. 298). There are many problems with just accepting Samples’ assessment without giving Marian apologists an opportunity to address these issues, and they have many times. “ Now as he journeyed he approached Damascus, and suddenly a light from heaven flashed about him. So, clearly even the Bible concedes that it is possible for one person to perceive what others don’t even when they are standing in close proximity. The fact that Paul is seeing Jesus should be clear by the fact that he can identify him as Jesus. It seems as though Stephen is seeing something others do not, as otherwise it would be odd for them to kill him if they saw God and Jesus in heaven. That pairing would have been proof that Stephen was telling the truth for any audience. The biblical author also seems to explain why Stephen is able to perceive what others do not (i.e., because Stephen was “full of the Holy Spirit”). So, should we not believe that Paul or Stephen had those experiences because others with them either did not see or hear what they did? Clearly, Samples is demanding proofs at Medjugorje that he does not demand of biblical stories, and that reflects a religious bias, not a sound historical procedure. According to Campbell: “So what are we to think of these apparitions of Mary? They may be authentic. Or they may be inauthentic. Whatever they are, they are nothing like the experience of the disciples had with the risen Jesus. It is important to note that the apostles could clearly distinguish between a vision and an appearance” (ACC, p. 298). So, clearly the visionaries themselves reportedly have been careful to make such distinctions. That is why only six are the ones usually numbered as the main group of original visionaries. More importantly, the initial experiences of the visionaries are reported in as objective a language as anything encountered in the New Testament. “What did Our Lady look like? 3. Like you, right now, the same. A living being. 4. Like a human being. 5. Like you right now as I talk to you. I can touch her. “1. Yes, I touched her robe; each time I touched it, it was with my whole palm. Many also touched her. 2. Yes, I touched her robe. 3. Yes, I touched her robe, but it is resistant like metal. I want to say that when she moves her hands or head, she moves, that’s normal; but when you touch, there is resistance, like metal. 5. I can touch her...At the beginning, I looked on her as something inaccessible, but now, when she is with me, I look on her as a Mother, as my best friend who helps me. How are such descriptions not physical or claiming to be as objective as anything found in the Jesus narratives? In fact, the Jesus narratives have a substantial amount of descriptions that are not compatible with a purely physical blood-and-flesh Jesus. Since in 1 Corinthians 15:8, Paul includes himself as one to whom Jesus has appeared just as Jesus has to the others in the preceding verses, then we also can surmise that such an appearance was not like that of a flesh-and-blood person. Paul, after all, claims that whatever he experienced was not accessible to others in quite the same way (Acts 9:7, 22:9). So, if the Bible admits that people walking alongside Jesus are “kept from recognizing him,” then why would Samples object to the possibility of a similar experience at Medjugorje? That is to say, it may be possible, given biblical concepts of different types of bodies, that he may not be able to see what others can. Even Donal Foley, an ardent critic of Medjugorje who is familiar with the earliest interview material, concedes: “The transcripts of the tapes certainly give a very strong impression that the visionaries did actually see something during those first crucial days on Podbrdo, and that on this point they were telling the truth” (Foley, Understanding Medjugorje, p. 60). The biased nature of Protestant critiques of Medjugorje can be detected in that much of the data for dismissing the experiences of the visionaries comes from follow-up interviews or field work. Thus, Samples had the luxury of empirically verifying that he could not see what a visionary claimed to see. The problem with using such field work to cast doubt on Medjugorje is that such Protestant apologists do not demand field work or follow-up to accept the stories in the New Testament. Thus, in the case of the New Testament, Protestant apologists automatically assign credibility to reports where witnesses were not further scrutinized or their stories were never empirically verified by outside observers. Jesus: Believers’ reports ACCEPTED without any further empirical verification or interrogation of witnesses. Mary: Believers' reports NOT ACCEPTED without any further empirical verification or interrogation of witnesses. If Samples wanted to be consistent, he would accept the first reports of Medjugorje, and not inquire any further because that is exactly analogous to what he wants us to do with the New Testament reports. Jesus:All reports of alleged post-resurrection experiences come from believers. Mary:All reports of alleged post-resurrection experiences DO NOT COME from believers. Even when the NT authors report on any contrary claims, those contrary claims are reported through those NT authors, and we are not directly reading from the contrary sources ourselves. However, in the case of Medjugorje, we are often reading the contrary reports directly from its opponents such as Samples. Overall, it seems irrational for Protestant apologists to believe in New Testament "witnesses" who are either anonymous or have a biography unverifiable to us today, and yet dismiss the testimony of millions of "witnesses" who are alive today, and who say that they experienced something supernatural at Medjugorje. Once we carefully examine the objections to the Marian apparitions launched by Campbell, we can see that the Marian apparitions at Medjugorje DO SATISFY McCullagh’s criteria, at least in a form analogous to those used by W. L. Craig to establish the historicity of the ressurection of Jesus. 1. It has great explanatory scope. It explains why Mary’s tomb has never been found, why people all over the world see postmortem appearances of Mary, and why faith in Marian apparitions came into being. 2. It has great explanatory power. It explains why Mary’s body has never been found, and why people repeatedly see Mary alive despite her earlier presumed death and burial (or disappearance). 3. It is plausible. Given the historical context of Mary’s own unparalleled life and claims, the resurrection or continued existence of Mary serves as a direct confirmation of those radical claims. 4. It is not ad hoc or contrived. It requires only one additional hypothesis—that God exists. And even that need not be an additional hypothesis if you already believe in God’s existence. 5. It is in accord with accepted beliefs. The hypothesis “God raised Mary from the dead or keeps her alive” does not in any way conflict with the accepted belief that people don’t rise naturally from the dead. The Marianist Christian accepts that belief wholeheartedly as he or she accepts the hypothesis that God raised Mary from the dead (or kept her from ever dying). 6. It far outstrips any rival theories in meeting conditions 1 through 5. Down through history various rival explanations have been offered. Such hypotheses have been almost universally rejected by contemporary Marian scholarship. No naturalistic hypothesis has attracted a great number of Marian scholars. The scientific team led by Dr. Joyeux concluded: “No scientific discipline seems able to describe these phenomena” (Scientific and Medical Studies, p. 75). Protestant apologists for the historical Jesus cannot continue to ignore the challenges posed by Marian apparitions. No longer should a thorough discussion of the historicity of Jesus be seen as complete without some serious discussion of modern Marian apparition reports. Even if we agree with Campbell that the Medjugorje stories do not represent a reality that we can objectively establish as historical, he fails to see how that fact itself undermines his pleas for the historicity of the resurrection of Jesus. Indeed, perhaps the MOST IMPORTANT LESSON from Medjugorje is that people CAN report seeing non-existing people with as physical and objective a terminology as the language has available (e.g., “see,” “hear,” “touch”). The interviews by Samples confirm that Ivan Dragicevic could use the most objective language available. Both Marian and Jesus apparition reports may be part of the same broader socio-psychological phenomenon where people report non-occurring and imagined events with objective language. Simple as that. 1. Can people use the most objective language (e.g., “see,” “hear,” “touch”) available to describe encounters with non-existent beings? 2. If so, then why can’t the storytellers in the New Testament use the most objective language available to describe encounters with non-existent beings? 3. Do you admit that it is historically false to claim that Marian apparition stories must depend on belief in the dogma of the Assumption of Mary? 4. Do you agree that Epiphanius did, in fact, suggest that the continued existence of Mary was one of the options that was probably current by the fourth century? 5. Where is an actual document from around 35-36 CE that shows the existence of a creed in the resurrection of Jesus? 6. Why don’t you see as historically significant the establishment of a creed in the appearance of Mary within 5-6 years at Medjugorje? 7. What precedent or prior tradition did Herod use to conclude that John the Baptist resurrected or returned shortly after being killed in Mark 6:16? 8. If Herod had none, then why can’t a Jesus resurrection tradition arise without a prior tradition even if the resurrection did not occur? 9.What do you really KNOW about the so-called witnesses for Jesus’ resurrection (when compared to those at Medjugorje) that does not come from pro-resurrection sources? 10. What sorts of medical tests or follow-up interrogations were performed on Mary Magdalene, Peter, John and other supposed witnesses of the resurrection by scientists and psychiatrists? 11. What specific historical or scientific tests were performed by Luke to evaluate the reports that he says that he received from witnesses in Luke 1:1-4? 12. What sorts of medical or scientific tests were performed to determine whether stories of miracles in the NT might also have a natural explanation, as you allege for those at Medjugorje? 13. Why are radical personal claims relevant to establishing historicity,and why do you think claiming to be impregnated by the Holy Spirit does not count as a “radical personal claim” on the part of Mary? NOTES: Unless noted otherwise, all biblical quotations are from the Revised Standard Version. Some spelling of the visionaries' names may differ in English transcription. Hector Avalos, “Mary at Medjugorje: A Critical Inquiry,” Free Inquiry 14:2 (Spring, 1994):48-54. Epiphanius, The Panarion of Epiphanius of Salamis, translated by Frank Williams (2 vols. Leiden: E. J. Brill, 1994). Donal Anthony Foley, Understanding Medjugorje: Heavenly Vision or Religious Illusion? (Nottingham, UK: Theotokos Books, 2006). 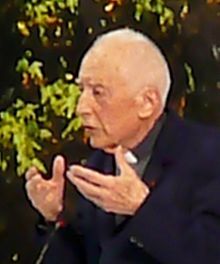 René Laurentin and Ljudevit Rupcic, Is the Virgin Mary Appearing at Medjugorje? (Gaithersburg, MD: The Word Among Us Press, 1984). -- and Henri Joyeux, Scientific and Medical Studies on the Apparitions at Medjugorje (Dublin: Veritas, 1987). Albert J. Hebert, Medjugorje: An Affirmation and Defense (Paulina, LA:Albert Hebert, 1990). Daria Klanac, Aux sources de Medjugorje (Montreal: Éditions Sciences et Culture, 1998). Elliott Miller and Kenneth R. Samples, The Cult of the Virgin: Catholic Mariology and the Apparitions of Mary (Grand Rapids, MI: Baker Book House, 1993). Mark Miravalle, The Message of Medjugorje: The Marian Message for the Modern World (Lanham, MD: University Press of America,1986). Candida Moss, The Myth of Persecution: How Early Christians Invented the Story of Martyrdom (New York:HarperOne, 2013). Michael O’Carroll, Medjugorje: Facts, Documents, Theology (Dublin:Veritas, 1986). Ludwig Ott, Fundamentals of Catholic Dogma, translated by Patrick Lynch (Rockford, ILL: Tan Books and Publishers, 1960). Jaroslav Pelikan, Mary Through the Centuries: Her Place in the History of Culture (New Haven: Yale University Press, 1996). Stephen J. Shoemaker, Ancient Traditions of the Virgin Mary’s Dormition and Assumption (Oxford, 2006). -- “Epiphanius of Salamis, The Kollyridians, and Early Church Dormition Narratives: The Cult of the Virgin in the Fourth Century,” Journal of Early Christian Studies 16, no. 3 (Fall 2008):371-401. Ivo Sivric, The Hidden Side of Medjugorje, Volume 1, edited by L. Belanger and translated by S. Rini (Saint-François-du-Lac:Psilog, 1989).